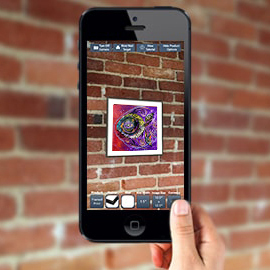 Instantly preview my artwork live on your walls in real-time by using the camera on your mobile phone or tablet! 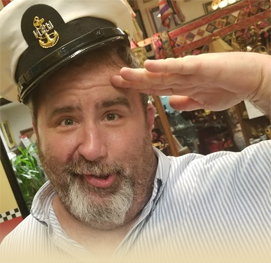 To see the magic, simply download the “Pixels.com App” from the AppStore (for your iPhone and iPad) or from Google Play (for your Android phone or tablet) and follow the instructions below. 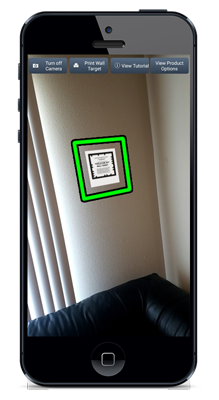 Click the button shown below to print out this wall target using your local printer with a standard 8.5″ x 11″ piece of paper. 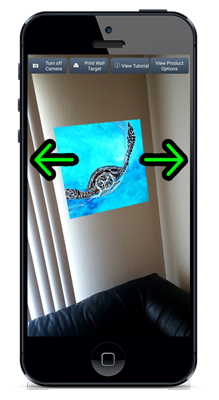 Tape the target anywhere on your wall that you want the artwork to appear (e.g. over your fireplace, sofa, or bed). Perfect positioning of the target is not necessary. Open the “Pixels.com App” and search for “SCARPACE”. Pick a piece of art, size, mat, and frame. 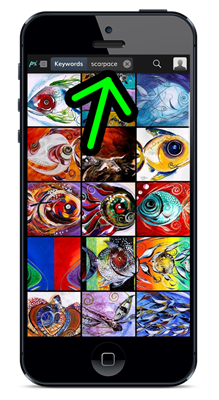 Click the “View on Wall” button or icon: . Point device camera at the target and walk around the room. 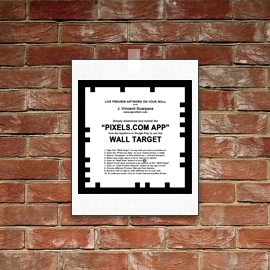 Print out “Wall Target” and tape it to your wall as shown above in the Easy Instructions. 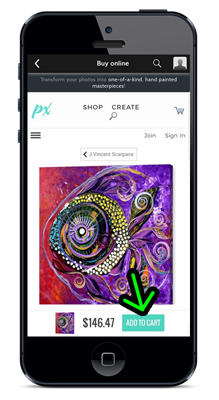 Open the “Pixel.com App” on your mobile phone or tablet. 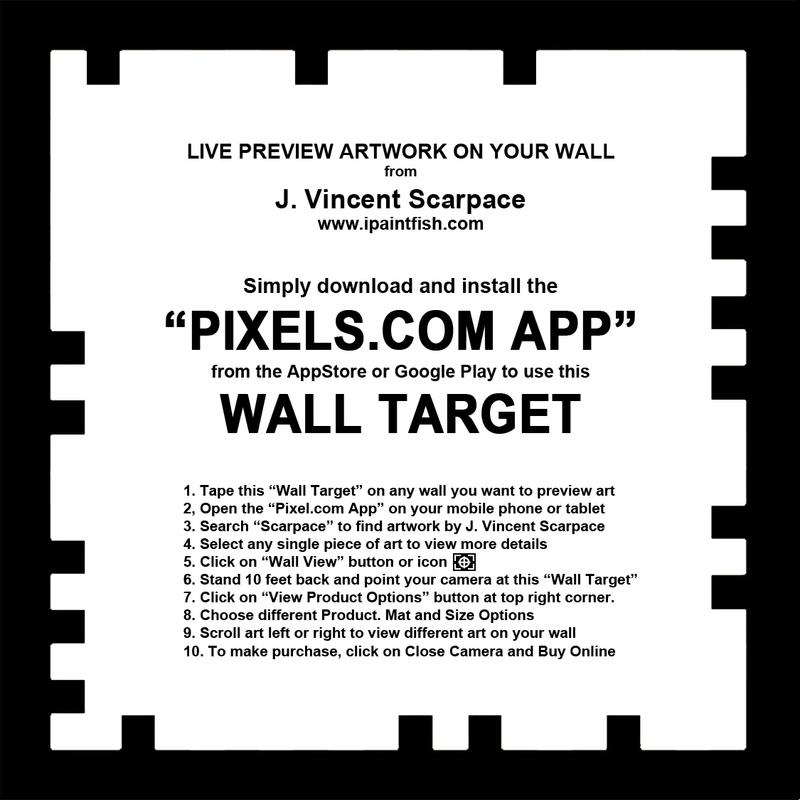 Type “Scarpace” into the search field at the top to find artwork by J. Vincent Scarpace. Select any piece of art to view more details. 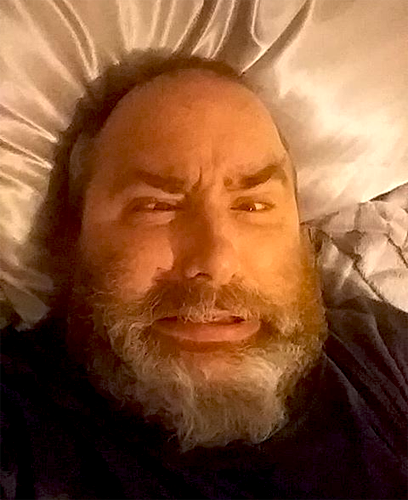 Click on “Wall View” button or icon. Click on “View Product Options” button at top right corner. 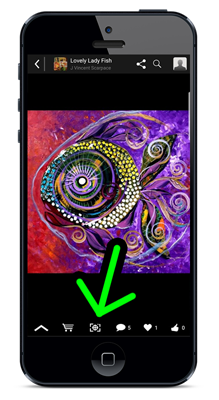 Use the Product button shown at bottom to choose a Canvas Print, Framed Print, Acrylic Print or Art Print. Then select different options for Frames, Mats and Sizes. Is it recommended to choose a larger size such as 20″x30″ to get started with for viewing purposes. 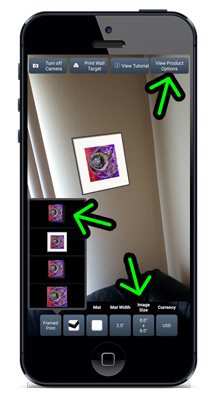 This allows you to see a great example of the selected artwork on your wall. You can always change your product selection as well as any of the options at anytime. 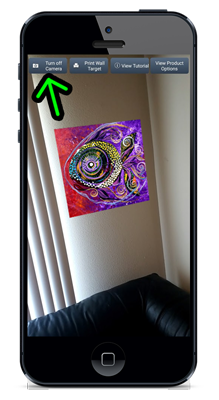 Scroll art left or right to view different art on your wall. While viewing various pieces of art, you may want to click on the “View Product Options” button and try changing to a few different Products. It is also recommended to try changing the size of the art a few times to see which size best fits on your wall. 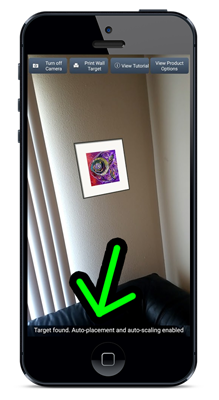 When you find a great piece of art that looks perfect on your wall, you can click on the “Turn off Camera” button to reveal the price and a built in ordering option. 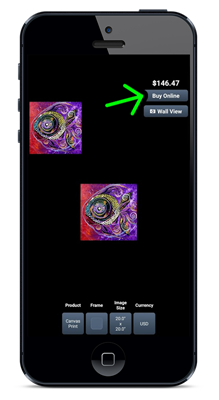 To purchase the piece of art with all the options and in the size you selected, click on the “Buy Online” button at top just under the listed price. 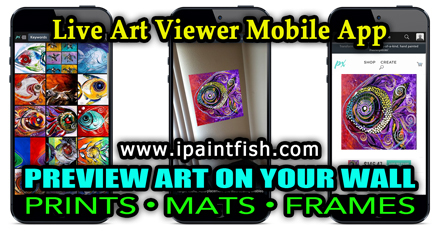 This will instantly take you to the ordering page for the piece of art you chose where you can review your selection or make any last minute changes. Click the “ADD TO CART” button to start the checkout process. Follow the prompts to calculate the shipping cost options and to finalize your order. Once your art arrives, hang it on your wall and Enjoy! Are you another happy and proud collector of a new piece of art by J. Vincent Scarpace? 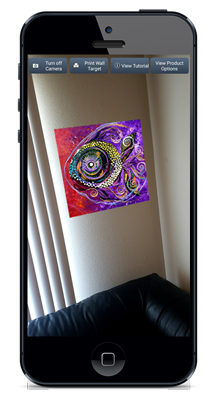 Send a photo of your new art hanging on your wall to be included in the Customer Gallery!